An iconic figure of the German Romanticism, Johann Wolfgang Von Goethe was born in Frankfurt am Main, Germany on August 28, 1749. The multi talented Goethe, in addition to being a writer was also a theoretical physicist, biologist, polymath, pictorial artist and statesman. His services to poetry, pros and drama are an integral part of German literature. Goethe played a key role in the movement of Weimar Classicism, Sturm und Drang and Romanticism. He is credited for giving the Sturm und Drang movement its first major drama, Gtz von Berlichingen in 1733 and also its first main novel, The Sorrows of Young Werther in 1774, creating the classic archetype of a romantic hero. As a young boy Goethe was given lessons by his father and private tutors in all the usual subjects of his time and specially languages including Latin, Greek, French, Italian, English and Hebrew along with training in riding, fencing and dancing. Goethe enjoyed theatre and drawing and was deeply interested in literature, devoting a lot of his time to reading works of Friedrich Gottlieb Klopstock and Homer. Although Goethe studied law from 1765 to 1768 in Leipzeg, he was more interested in learning about poetry and attended poetry lessons by Christian Fürchtegott Gellert. He released his first collection of poems, Annette, published anonymously in 1770. By 1771, Goethe had become a licensed lawyer. In an attempt to humanize the jurisdiction, Goethe proceeded cases too vigorously and as a result was reprimanded. He shifted his focus to his literary side and created the colorful courtroom drama, Götz von Berlichingen. He started practicing law again in 1772 and gave the world his masterpiece, The Sorrows of Young Werther in 1774. Following the success of The Sorrows of Young Werther, Goethe was invited to the court of Carl August. Goethe thus moved to Weimar where he would remain for the rest of his life holding a succession of offices moving up to becoming the Duke’s chief advisor. During 1786 to 1788, Goethe made a journey to Italy which he put to writing in the Italian Journey, published 1816. He married his long time mistress, Christiane Vulpius in 1806 when Napoleon’s army invaded the town of Weimar and occupied Goethe’s house. 1793 onwards, Goethe devoted all of his time to his literary work. He fell in love with Ulrike von Levetzow, who inspired his famous, Marienbad Elegy. Goethe considered this to be his finest work. 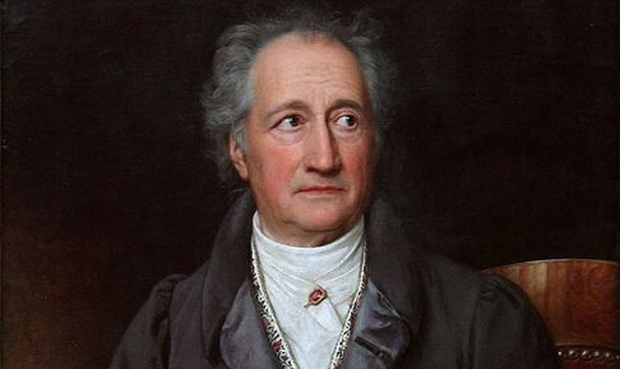 Some more of Goethe’s most famous works marked in history include Wilhelm Meister’s Apprenticeship, the dramas Iphigenie auf Tauris, Egmont, Torquato Tasso, The Natural Daughter the fable Reineke Fuchs, Furthermore, Faust Part One, Elective Affinities, the West-Eastern Divan, his autobiographical Aus meinem Leben: Dichtung und Wahrheit and Faust Part two which was finished and published posthumously. Although Goethe is best known for his literary work, he also held a keen interest in science and wrote quite a lot on color theory and plant morphology. He owned the largest collection of minerals in Europe and his works greatly influenced naturalists of the 19th century. His works, Metamorphosis of Plants (1790) and Theory of Colors (1810) are some of his important scientific endeavors. Leaving behind volumes of poetry, essays, criticisms, dramas, novels, linguistics and scientific works, Johann Wolfgang Von Goethe passed away on March 22, 1832 in Weimar.